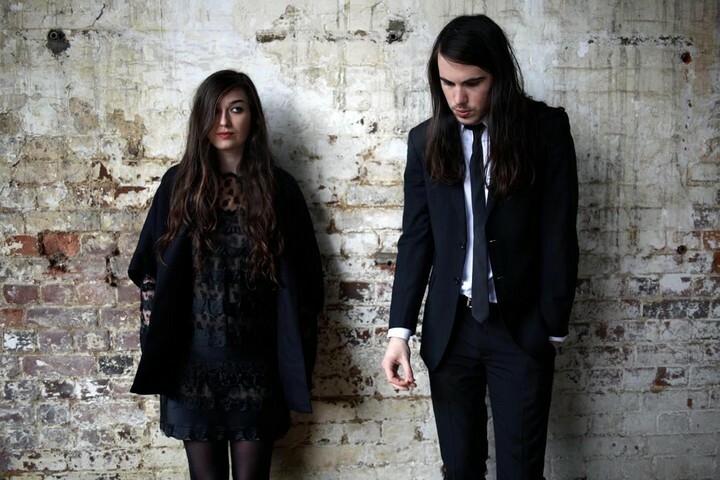 Madeline Follin and Brian Oblivion of the Cults. 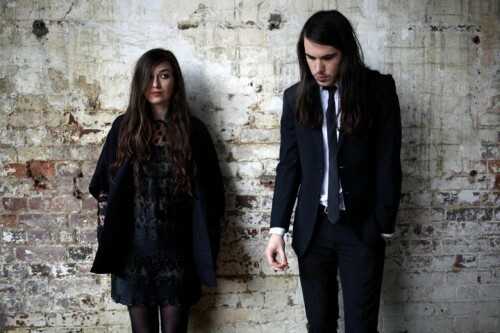 Photos from the Cults' website. This is the second part, songs 10 through 6, of our Favorite 15 Songs of 2011. To this see the first part, songs 15 through 11, click here. Tune-Yards’ Merill Garbus is at her best not when she reigns things in, but when her music walks the fine line between helplessly scattered and brilliantly chaotic. Inevitably, this results in some of her songs sound like cacophony or a weird audio art installation. But “Gangsta” is Garbus at her bizarre peak. The song starts with an actual siren, moves to a grooving bass line, and then is taken over by Garbus’ imitating siren sounds. Eventually, tin-can drum beats, bass rifts and a horn section take over, creating a junkyard funk. But the star here is Garbus’ transfixing voice; it schizophrenically goes from having an MC’s bravado-laden growl, then to a shrinking falsetto hiding behind big proclamations, and finally to just making loud noises. On paper, it seems a fucked up. But as a musical track, it’s fantastically fun and hyper, even if it sounds like it might fall apart at the seams at any moment. From the opening moments of Black Night, you can hear the anxious sounds from an acoustic guitar pacing up and down the fret board. Meanwhile, Meric Long’s voice remains calm, like he’s standing with his back turned to a gathering storm, oblivious to building urgency around him. While we like this contrast, our main reason for selecting this song is what happens around the 2:00 minute mark. It’s here when drummer Logan Kroeber goes into hyper speed, frantically playing the drums so that the sound comes off like a machine gun. The guitar follows suit, picking up the pace, creating a rushed bliss while Meric’s voice never wavers. This is a sentimental pick, because We Are Augustines is basically the continuation of the indie rock group Pela, a band that broke up in 2009, and a band we grew strangely attached to during their brief existence. Pela’s show at Schuba’s in 2008 was one of our favorites of that year, and it was also the show where lead singer Billy McCarthy severely injured his hand, forcing Pela to cancel the rest of their tour, which was the start of some unfortunate events that contributed to the band dissolving. “Chapel Song” is the first single from We are Augustines; it’s a track where McCarthy laments about watching a girl he loved get married. This a topic explored in plenty of romantic comedies, and “Chapel Song” doesn’t break any new ground (although we dig the lines, “I’m a bowl of bruised fruit / Inside a chapel of shiny apples.”) Still, it felt good to hear McCarthy’s baritone resurface after being on hiatus for a few years. You may have heard “Chapel Song” in a recent REI commercial, which made us excited that We are Augustine’s had caught a break so quickly. We won’t pretend this song is earth-shatteringly good, but Pela’s reemergence under a different name was one of our favorite things about music in 2011. What starts off as a lazy sounding Doo-wop song — finger snaps and all — morphs into a desperate cry for help thanks to Madeline Follin crying out “Cause I am afraid of the light / Yeah, you know what I mean / And I can’t sleep alone at night / Yeah, you know what I mean” during the chorus. “You Know What I Mean” gets plenty of credit for being a bizzaro 1960’s prom song, but what gets this song on our list is when Follin’s desperation crests around the two minute mark. The song is only 2 minutes and 31 seconds long, a compact burst of hopelessness that left us speechless and wanting more. Bon Iver may have released its self-titled second album this past June, but we held off listening to it until the leaves completely changed and the wool attire came out of our closets. This is fall and winter music, specifically for Midwesterners. At least “Holocene” is, a song that references Halloween, Christmas and Milwaukee. Bon Iver’s lead singer, Justin Vernon, has a voice that almost always sounds like an audible whisper echoing in the forest, and this song is no different. Musically and lyrically, “Holocene” is probably the most beautiful track of the year, with its ambient sounds from a finger picked acoustic guitar, rat-a-tat “Little Drummer Boy”-esque drums, and Vernon’s opening line, “Someway, baby, it’s part of me, apart from me.” While the majority of the lyrics seem like deeply personal memories, when Vernon delivers the heart-breaking line, “And at once I knew, I was not magnificent,” the song suddenly resonates with just about anyone who has lived, even if they’ve never spent a winter in the Midwest.